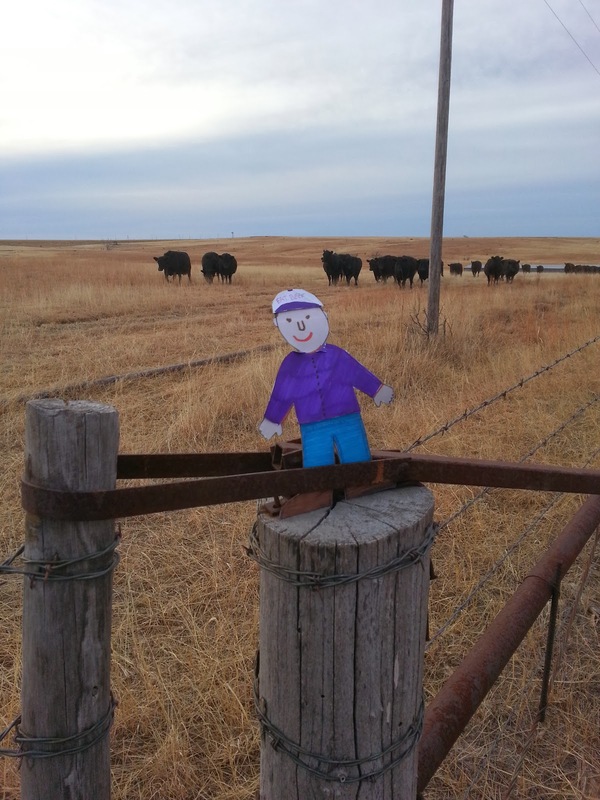 Snapshots of a Kansas Farm: Flat Aggie Came For a Visit! Flat Aggie had the opportunity to visit our farm this last month. 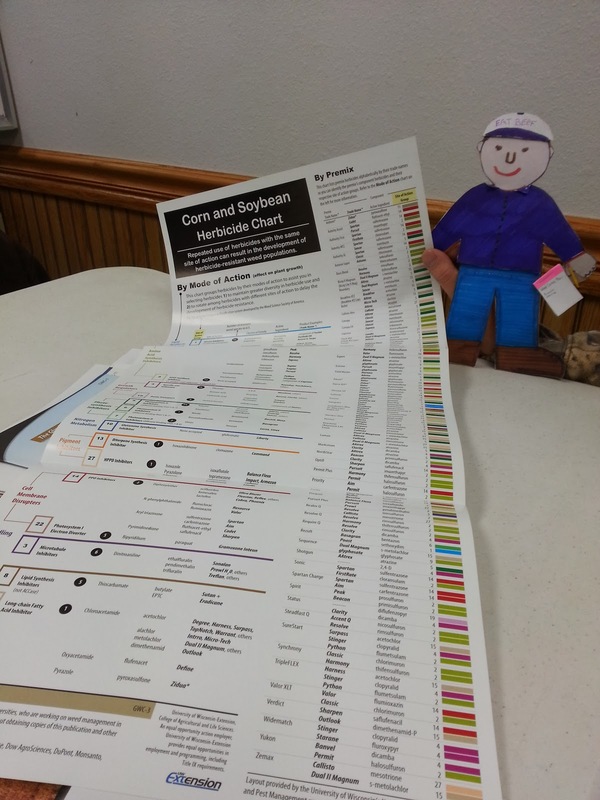 He came to learn about our cattle, but also got to attend meetings about raising crops. The first thing he did was go out and buy farm clothes. For once, I didn't have to open the gate! Thank you Flat Aggie! And he climbed the windmill for me too! It was pretty high climb! He was careful and we made sure he was climbing safely. 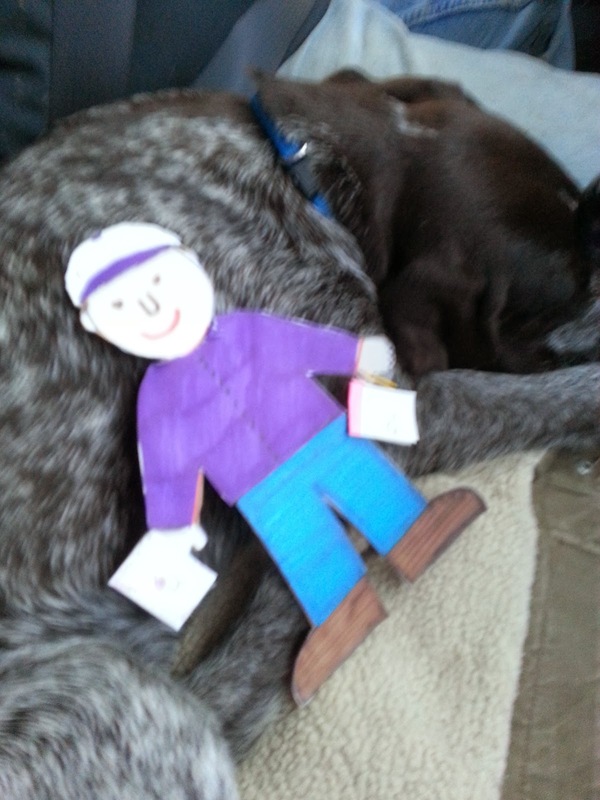 Flat Aggie was tired after all the hard work! He took a nap with our puppy, Custer. 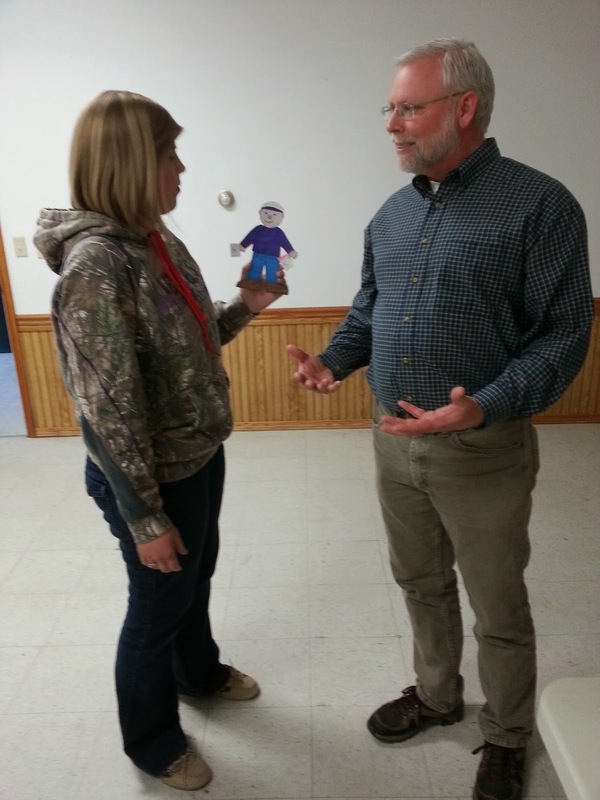 Flat Aggie went with us to a weed control meeting. He came prepared! Flat Aggie has his iPad, notepad, and pencil ready for the meeting. 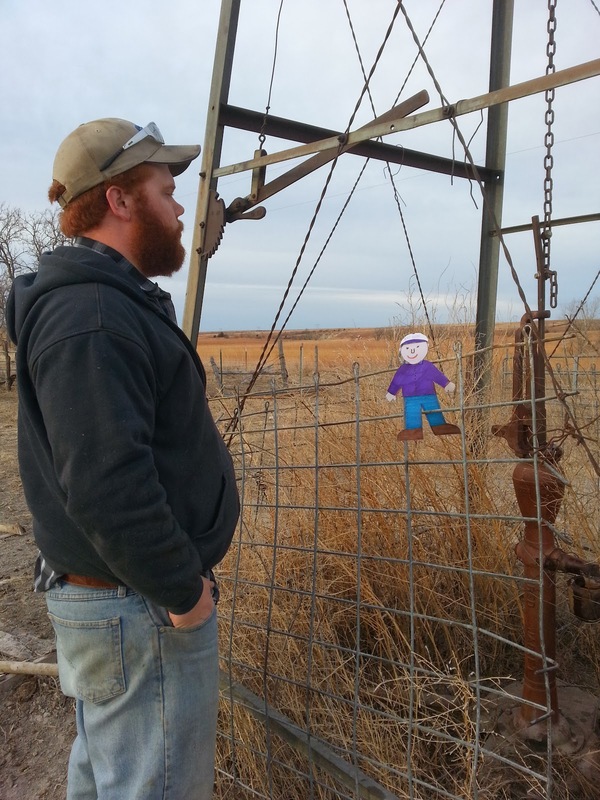 Flat Aggie learned the importance of rotating herbicides! 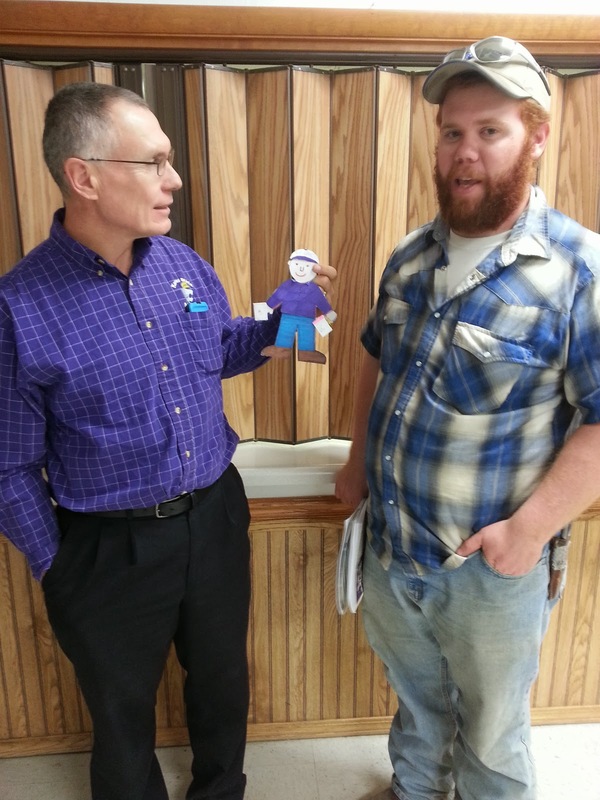 Flat Aggie had a great time at the meeting. He had a few questions after it was over so he asked the experts. 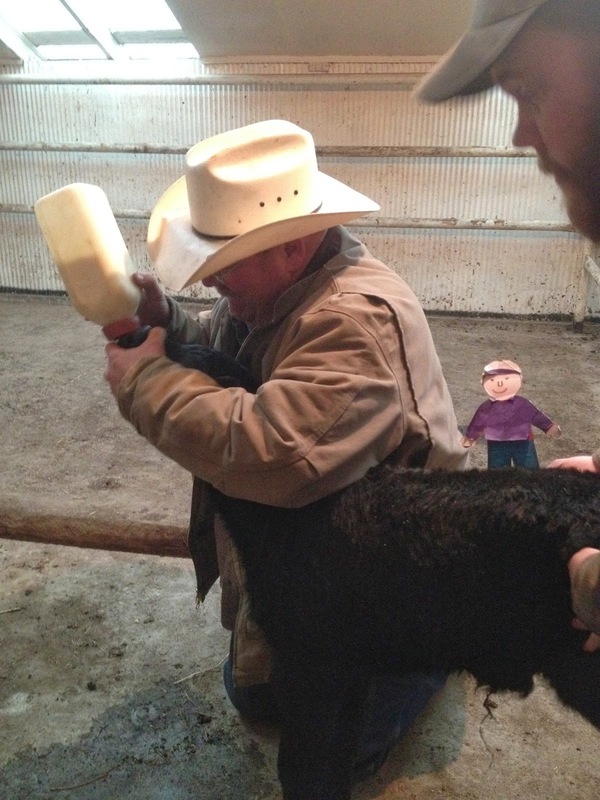 Flat Aggie had the opportunity to see the cutest part of the farm, the bucket calves! They needed us to take care of them since their mommies weren't able to get the job done. He really enjoyed meeting the babies. 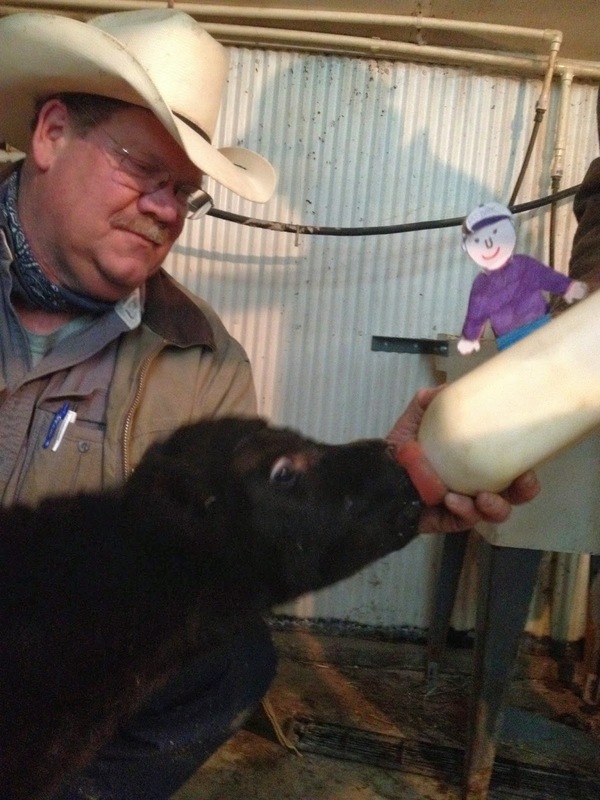 Flat Aggie liked helping feed this calf. He helped keep this calf calm. Flat Aggie showed us his muscles yesterday! He didn't even know he was that strong! With the warm weather and the ground thawing, it is time to pull up the electric fence around the corn stubble that the cows have been grazing on all winter. The cows are like vacuum cleaners for a field! They get every kernel left over from harvest! Redbeard was so glad that Flat Aggie came along. 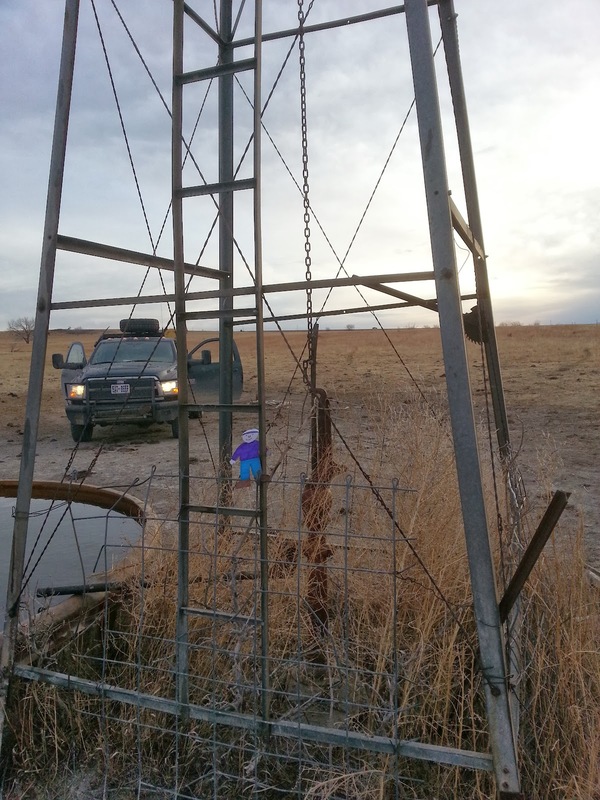 Redbeard was a little tired in the afternoon, so Flat Aggie took over pulling posts. 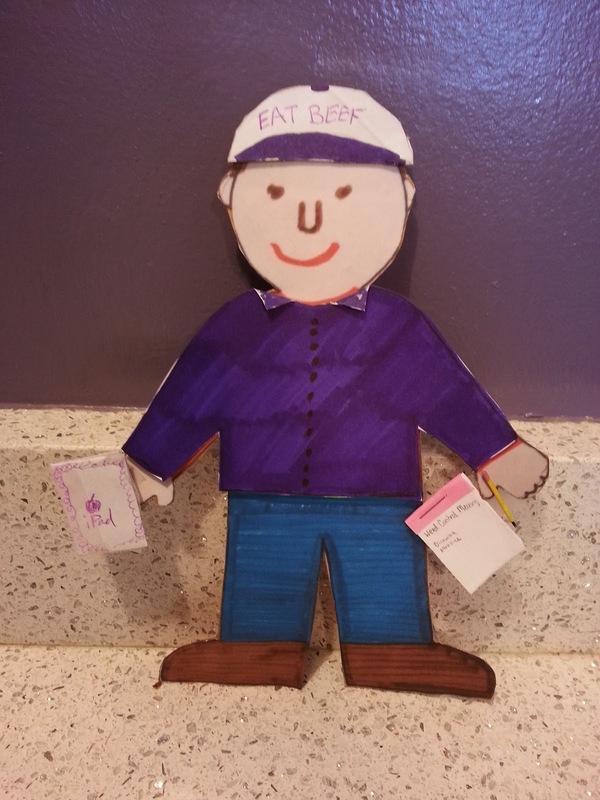 Flat Aggie is proud of his hard work! We really enjoyed having Flat Aggie visit us! He really enjoyed having the baby calves around...or maybe that was me! 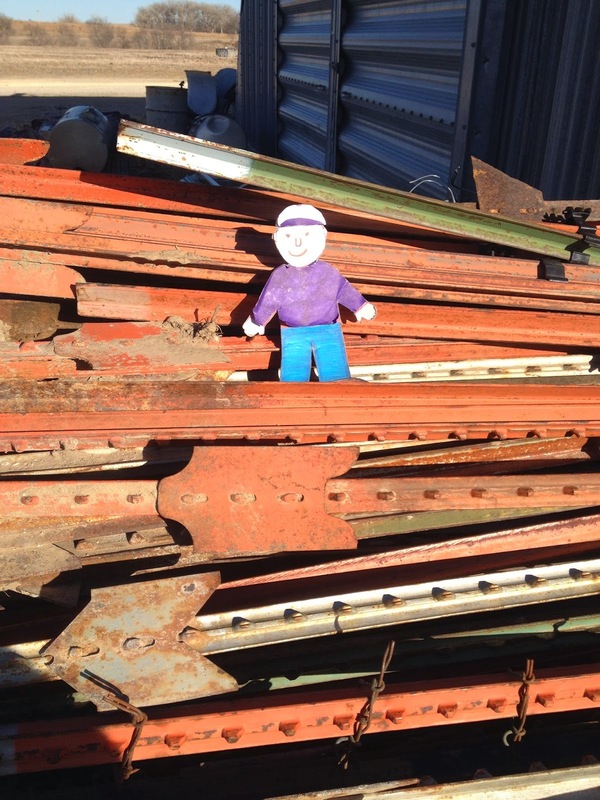 :) You should definitely host Flat Aggie, he would have a great time with you! Thanks for stopping by our blog! I hope he enjoyed his stay at our farm! I am sure he had a great time visiting you! Thanks for stopping by my blog!